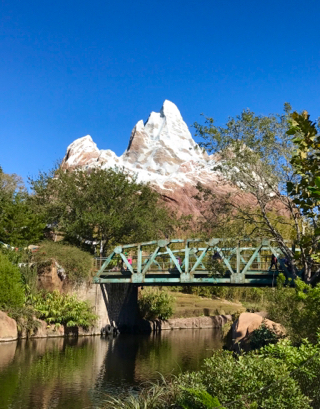 I have taken many photos of Expedition Everest. However, I'm always looking for new photo angles for shots of Disney's iconic attractions. I found one last week, in the new "Rivers of Light" theater, that is now open during the day.